It's a first in Southeast Asia. 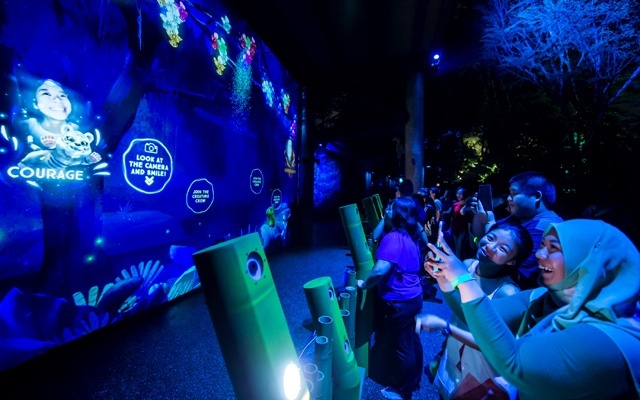 (SPOT.ph) Singapore Zoo may have been around since 1973, but it's never stopped innovating and creating attractions that encourage guests to always come back to the wildlife park. It opened the Fragile Forest, a biodome with a miniature rainforest, in 1998; the Great Rift Valley of Ethiopia, a fully immersive replica of native villages filled with Hamadryas baboons, in 2001; and a sanctuary for some of the world's most threatened reptiles called RepTopia in 2017. 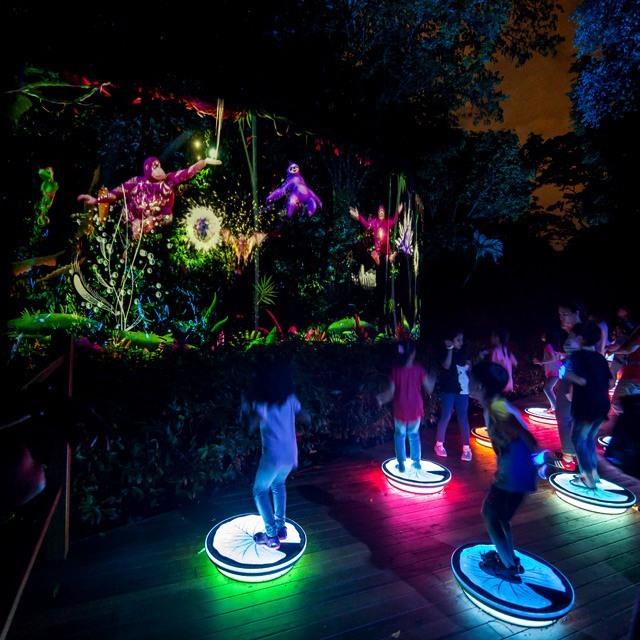 In July 2018, Singapore Zoo opened an interactive multimedia night walk called Rainforest Lumina—the newest attraction in Singapore. 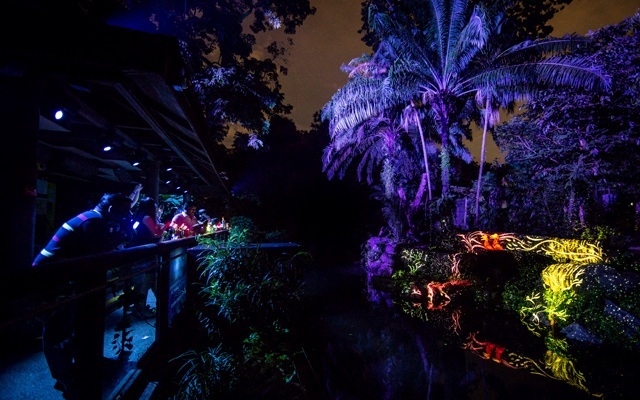 See Singapore Zoo in a different light (literally!) with Rainforest Lumina. The new attraction features light projections, smoke effects, and other interactive installations. Just follow the path and you'll reach the exit in less than an hour. 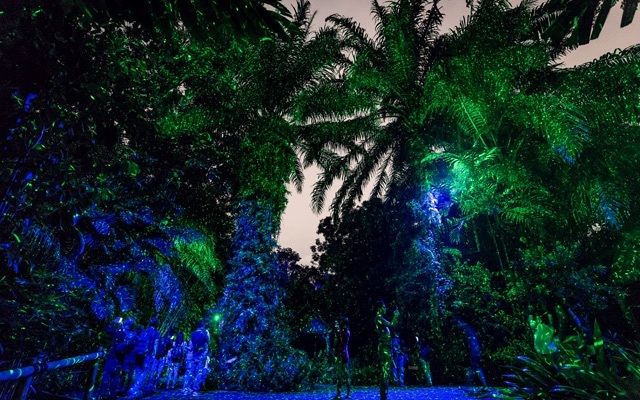 Open from July 1, 2018 to February 9, 2019, the Rainforest Lumina is a one-kilometer walking route that features smoke effects, pathways lit with globe-shaped glass lamps, corners with light projections, a small waterfall that seems to glow in the dark, and a whole field of butterfly-shaped stalks projected with blue UV light. It is a completely different transformation from the Singapore Zoo that you see in the morning. The tour starts with the Treetops Zone, where visitors walk under a canopy of towering trees. 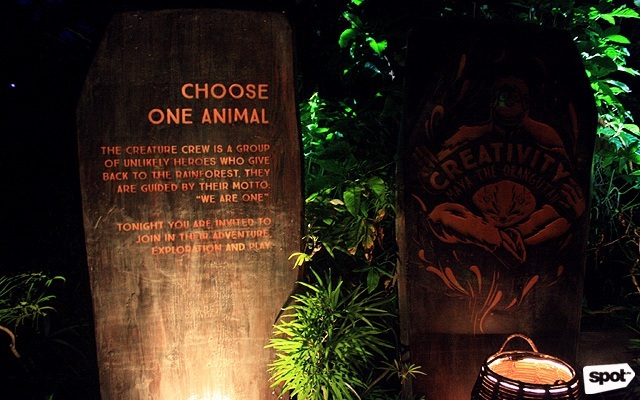 The Garden of Virtues introduces the members of the Creature Crew with each representing a virtue. 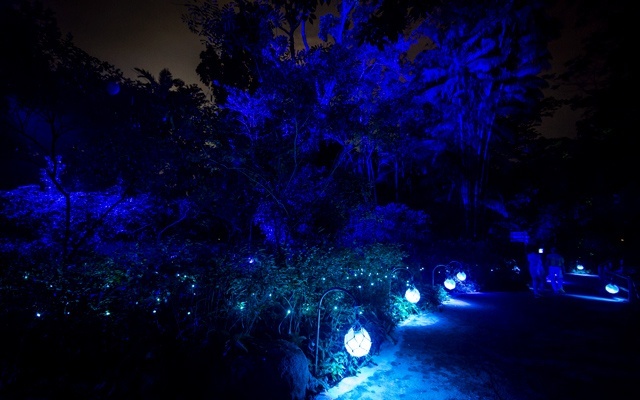 The Shimmering Islands Zone features a path with glass lamps and small blue-colored lights. 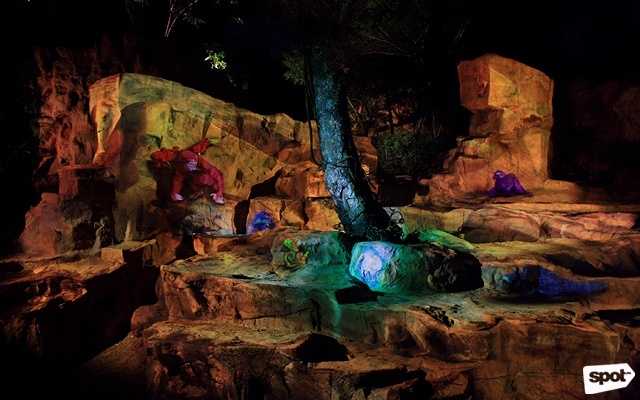 It’s a place where the Creature Crew—a fun-loving group made up of a pink orangutan, a blue sloth, an orange flying fox, a cute tiger cub, and an Asian small-clawed otter—roams between 7:30 p.m. and 12 a.m. every day. 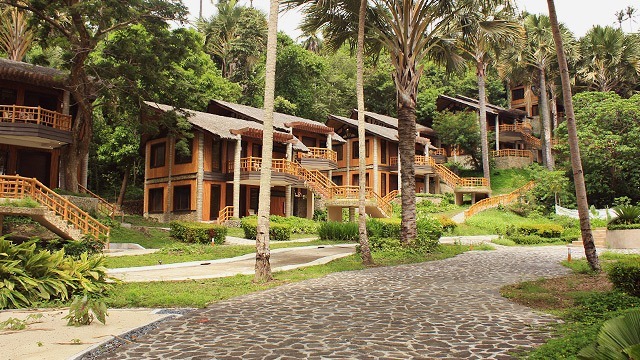 A symphony of natural rainforest sounds and soothing music also plays in the background to complete the experience. 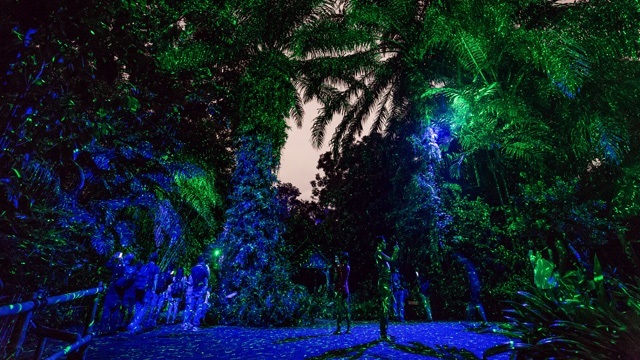 Rainforest Lumina may sound a bit out-of-this-world, but that’s just because it is. 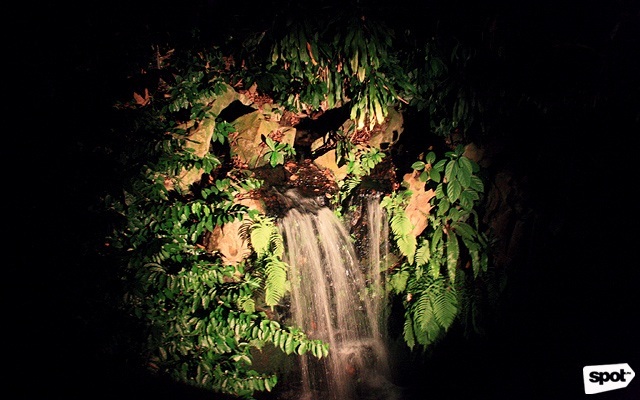 Sing Like an Animal Zone is just an example of Rainforest Lumina's many multi-sensory attractions. Call of the Wild tells the story of how members of the Creature Crew protect each other. The Play Like an Animal Zone brings out your inner child. Don't forget to have your photo taken so you can join the Wall of Fame. 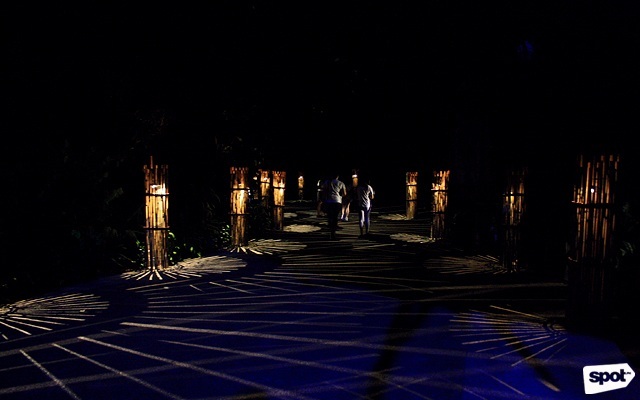 Four of the 11 zones that comprise the illuminated walk are interactive. There’s the Sing Like an Animal zone where kids and kids-at-heart need to sing (or shout) on the available microphones to make projections of the Creature Crew appear; the Call of the Wild, which is a visual narrative of a day in the lives of Singapore Zoo’s special animal friends; Play Like an Animal, where visitors have to jump on sensors to make the members of the Creature Crew jump too; and Wall of Fame where you can take a photo of yourself and permanently leave a mark of your journey in the zoo. 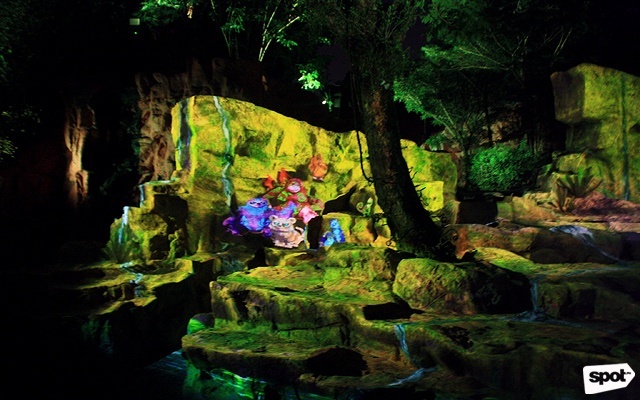 Rainforest Lumina is open from July 1, 2018 to February 9, 2019, from 7:30 p.m. to 12 a.m. (last entry at 10:30 p.m.). 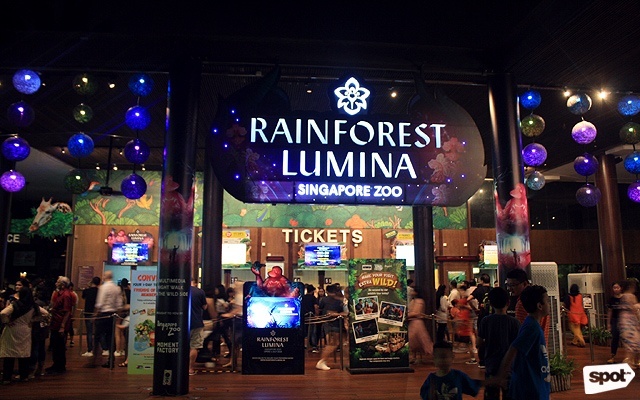 Tickets, priced at SGD 22 for adults and SGD 16 for kids aged three to 12, are available through Rainforest Lumina’s website or Singapore Zoo’s ticket booth. Singapore Zoo is at 80 Mandai Lake Road, Singapore. 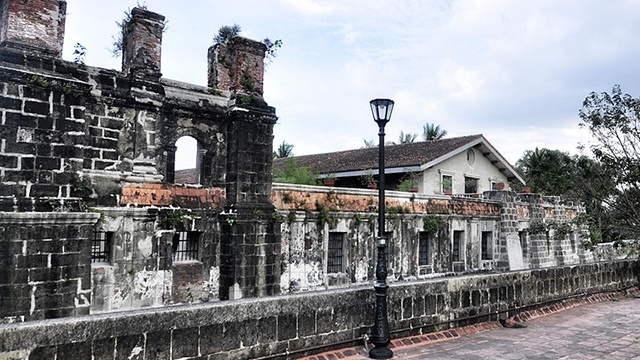 For more information, visit Singapore Tourism’s website. Singapore Airlines flies daily from Ninoy Aquino International Airport Terminal 3 in Manila to Changi Airport in Singapore. Singapore Zoo can be accessed through the North-South MRT Line or Safari Gate bus.